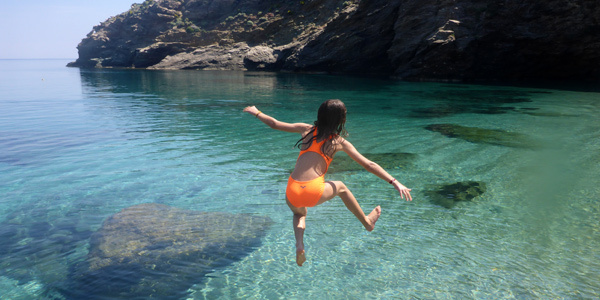 The stretch between the summer holidays and Christmas can be daunting, with ever-darkening days and the year racing to a close. 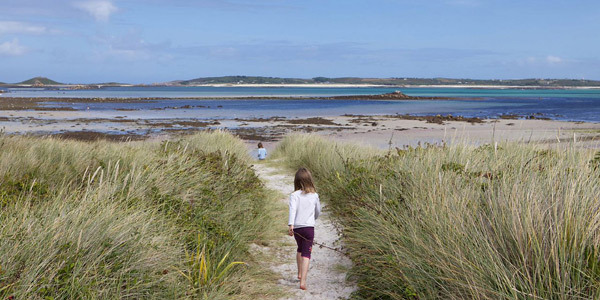 For those who still have some vacation days up their sleeves – and who haven’t yet decided what to do for half-term – we’ve rounded up 10 family-friendly places to stay, all with character, style, and availability. The Isles of Scilly feel like they’re in a bygone era: no cars, doors left on the latch, and the sun always seems to shine. And even when it doesn’t, there’s such great natural bounty on the doorstep that you’d barely notice. These well-equipped cottages all have superb sea views and good kitchens, plus there’s a Beach Cafe next door. They come in 1-, 2- and 3-bedroom configurations; book the latter during October and you’ll get an exclusive 25% discount. Oh, and did we mention the sandy beach, bicycles for hire, hidden treehouses and indoor heated pool? 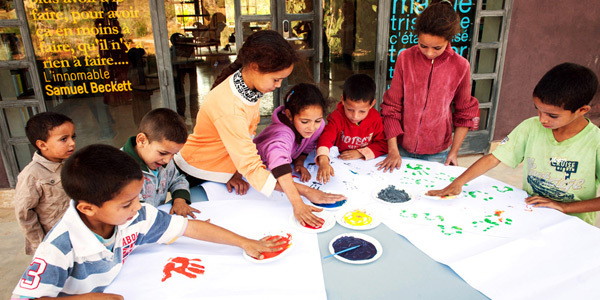 Marrakech is a super place to bring children: colourful, creative and intriguing. Make the unique Fellah Hotel your half-term home and take advantage of its 20% discount for families, which includes free access to the kids’ club (plus a very tasty 25% off spa treatments for parents). 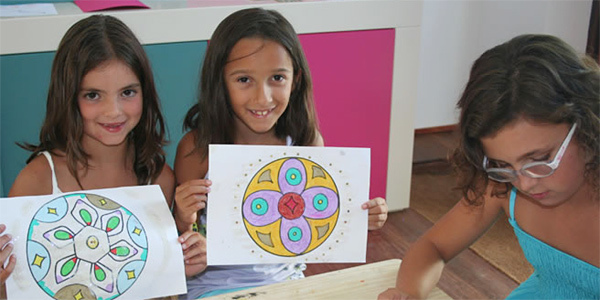 This October, there’s a special design programme where kids learn traditional Moroccan crafts such as tiling, pottery and carpet-weaving, and create their own original object from recycled materials. There’s something for all the family at this eco-friendly seaside hotel, with a sleek spa, a choice of restaurants, a weekend kids’ club and family rooms. The special half-term family package includes dedicated spa water circuit and swimming pool times, bicycles, snacks and half-board meals. 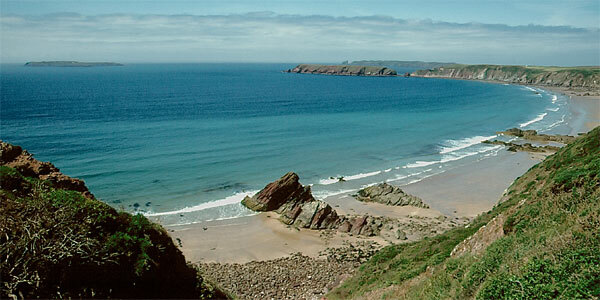 The beach in front is safe and sandy, and boat trips along the coast can be easily arranged. And pleasingly, Empuries is just 40 minutes from Girona airport. There’s an advantage to heading to this swanky resort over half-term: there are oodles of facilities to enjoy (including the award-winning Thalassotherapy spa for maximum relaxation), and the nippers get their own pool, age-appropriate kids’ clubs offering a daily changing schedule of activities, and a veritable emporium of games and toys. You also get a proper family restaurant, a playground, and watersports of every stripe to choose from. If you book a pair of Studio Suites for half-term then the second is half-price, and free half-board for children applies if you book full- or half-board. Most won’t be familiar with this historic frontier plateau, where Romans, Goths and warring Spaniards have plied their trade for centuries. Now the province is better known as a wine region, stuffed full of castles and (now peaceful) ancient hilltop villages. Within one such village you’ll find this charming collection of self-catering granite houses for 2-11. There’s a shared pool, garden and restaurant at its heart, and exciting expeditions including boat trips and mountain biking await. And until the end of October there’s a 10% discount for stays of 3+ nights, plus a free visit to the organic vegetable garden. The Cyclades are some of Greece’s most accessible islands, just a couple of hours from Athens, and many claim unspoiled Andros to be the pick of the bunch. Set on the edge of a natural park, a short walk along a river from the sea, these simply stylish cottages for 2-7 exude homespun charm. The swimming pool is a natural pond, the owner is charismatic and helpful, and kids and teens will love tearing around the place without a care. And if you book for October, you’ll enjoy a 15% discount on the rates, plus free local wine or beer with every meal! 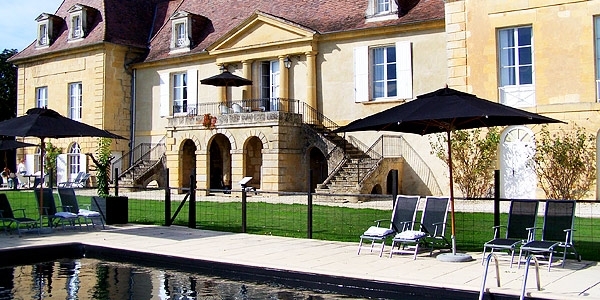 Winery hotels can be stuffy and bore even those old enough to imbibe alcohol. Not this one. 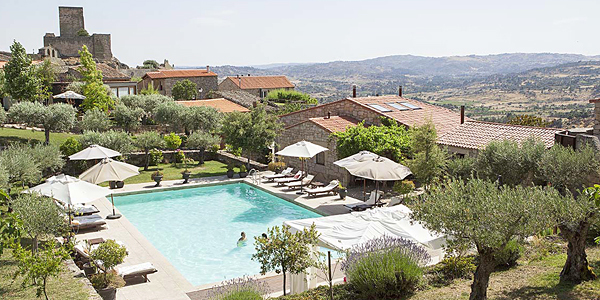 From its gastronomic restaurant to its large and gracious grounds, this honey-coloured chateau delivers relaxed fun for both parent (golf, cooking courses, massages) and child (swimming pool, playground, tennis court) alike. 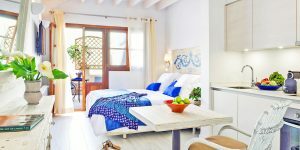 There’s a range of family-friendly accommodation, including an apartment for up to 6, suites for 3 adults plus kids,and self-catering villas for as many as 9. You can rent bikes, and there’s heaps to explore in this part of the Dordogne; you’re just 10 minutes from Bergerac airport, too. In October you can save 20% if you book 3+ nights – and if booking 5+ nights, 30% is discounted. Your children, whether kids or tweens, will thank you for bringing them to this immaculately designed rustic-chic resort, whose superlative amenities include a sumptuous spa, a gourmet restaurant, a golf course, a groovy cocktail bar and 4 swimming pools. For them, there’s a free kids’ club, a playground with a trampoline, a well-stocked games room, and a huge kids’ pool. And if they refuse to countenance seeing another piazza, Baroque church or fortified town, there’s the excellent Zoo Safari nearby. The half-board half-term package is applicable to the La Corte Splendida rooms. 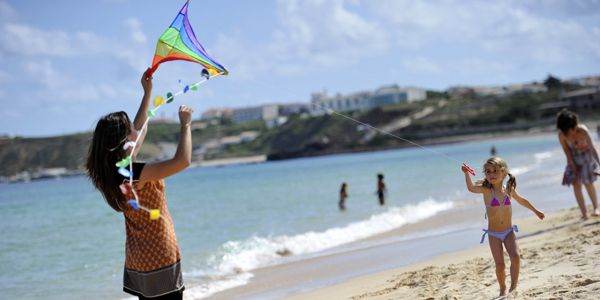 Autumn is a great time to visit this corner of the Algarve, as the weather is balmy and Martinhal has an 8% discount off all its 1-, 2- and 3-bedroom houses(as well as 4- and 7-night half-board packages). This place is unrivalled for families: it has a sandy beach, a great kids’ club, a playground, a video games room and tennis academies. 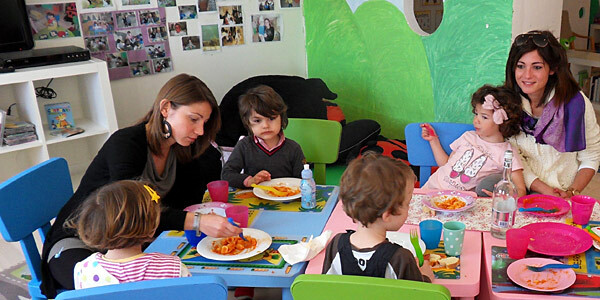 All villas have kitchenettes, and the resort’s restaurant offers kids’ portions. All ages can learn to surf or windsurf, and older kids can do a Junior Lifeguard Course. A gourmet restaurant with cosy rooms may not immediately appeal for a family half-term holiday, but this relaxed hotel is right by the sea and close to Pembrokeshire National Park. Children are warmly welcomed, and over half the rooms can take sofabeds or extra beds; babysitting is also available. It’s got a special half-board half-term package, too.